Super Bowl LII will be hosted in Minneapolis on Feb. 4, 2018. Minneapolis offers families a warm welcome at its indoor U.S. Bank Stadium and lots of things to do besides the big game, so we’ve created a guide to the Super Bowl for kids. There is live entertainment and Super Bowl activities for kids prior to kick off, and the halftime show is sure to be fun for everyone. Plus, Minneapolis has a ton to do once you tire of the pigskin. Here’s everything you need to know if you’re planning a family Super Bowl trip for your family. Super Bowl LIVE: This free, 10-day-long event kicks off on Friday, January 26 and runs through Super Bowl Sunday. It opens at 4 p.m. each day and is open from 10 a.m. to 10 p.m. on January 26, 27 and February 2 and 3. It is open from noon to 3 p.m. on game day. The fan village is located in downtown Minneapolis at Nicollet Mall. Fans of all ages are welcome at this family-friendly Super Bowl activity. Kids will love the interactive games, live music and lots of food. Snap a pic inside a snow globe and be sure to check out the ice sculptures, too! NFL Experience Driven by Genesis: This Super Bowl activity for kids takes place at the Minneapolis Convention Center from January 27 through February 3. Kids will love the youth football clinics, autograph signings, 40-yard dash, vertical jump against NFL players on LED screens, a virtual reality experience, plenty of NFL merchandise available for purchase and the Super Bowl rings exhibit. Tickets are $35 for adults and $25 for children 12 and under. NFL Opening Night: On January 29 at 7 p.m. at the Xcel Energy Center in Saint Paul, football fans can watch the players and coaches meet with the press. Live music, autograph signings and photo opportunities are available. Tickets are already sold out! Super Bowl Pre-Game: Just hours before kick-off, three-time Grammy-Award Winner Kelly Clarkson will perform an exclusive concert at 52 Live at The Armory. Clarkson will belt out her hits as well as songs from her newest album. Taste of the NFL: Held on February 3 at 7 p.m., this annual food and wine festival showcases chefs from 32 NFL cities. This event may be best suited for the adults in the family who will enjoy the 45,000 different tastings, live music and auction. The location is to be determined. Volunteer: From 9 a.m. to 1 p.m. on January 26, families can support a non-profit organization that collects warm weather gear like hats and gloves. The Minneapolis-based Hats & Mittens organization provides free hats and mittens to children in need during the cold winter months. Stop in and make a donation and enjoy free food and beverages, music, as well as a family activity to make hats and mittens from fleece. The GameDay Fan Plaza will be open from noon to 2 p.m. at the Minneapolis Convention Center. Families can enjoy marching bands, cheerleaders, interactive games and photo opportunities with the Vince Lombardi Trophy on game day. Gates to the stadium open at 1 p.m.
Ten-time Grammy Award Winner Justin Timberlake will headline the Pepsi Super Bowl LII Halftime Show at the U.S. Bank Stadium in Minneapolis. Timberlake last performed at the Super Bowl in 2004 with Janet Jackson when she had the infamous “wardrobe malfunction.” Timberlake, who is expected to release a new album in early 2018, has big shoes to fill following Lady Gaga’s 2017 halftime performance. Families who have the privilege of sitting in the Super Bowl stands will witness the show that had 111 million viewers in 2017. This mall is massive and like no other, so you will surely want to make a visit during your family Super Bowl vacation. 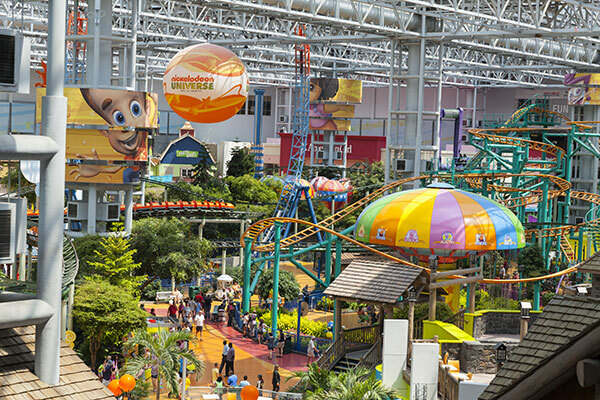 The Mall of America is about so much more than shopping, although there are more than 520 stores inside. There is also an amusement park, aquarium, LEGO sculptures, a movie theater, bowling alley and a mini-golf course. This mall is a destination in itself so make sure to plan ahead because you could spend a full day (maybe two!) at the Mall of America. This multi-level museum will have kids running all over the place creating dance videos or giant bubbles, building castles, playing with water and more. All ages, even infants, will love spending time at the Minnesota Children’s Museum. And it is located about 15 minutes away (albeit in opposite directions) from the U.S. Bank Stadium and the Mall of America. This free zoo (donations are suggested) is great for families who want to check out the polar bears and zebras. But it is also a great place to seek some tropical temperatures in the middle of a Minnesota winter. The conservatory is filled with colorful tropical plants and flowers for those who wish to pretend the Super Bowl was held in the Caribbean this year! The Westin Minneapolis: Only a three-minute drive or a 10-minute walk from the stadium, the The Westin Minneapolis features a kids’ club and an indoor pool. DoubleTree by Hilton Hotel Minneapolis – Park Place: With multi-room suites, the DoubleTree by Hilton Hotel Minneapolis – Park Place can easily accommodate families of five or more and the stadium is less than 15 minutes away. Residence Inn Minneapolis Downtown: Only a 10-minute walk from the U.S. Bank Stadium, families will love to utilize the fully equipped kitchens in the suites at the Residence Inn Minneapolis Downtown to cook meals before or after the game. 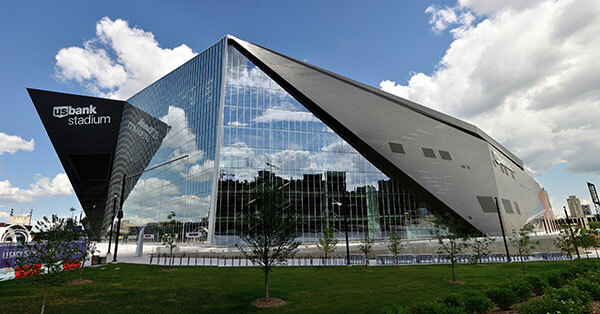 Hilton Minneapolis/Bloomington: Situated about 20 minutes away from the U.S. Bank Stadium, the Hilton Minneapolis/Bloomington is only about 10 minutes from the Mall of America, which is ideal for families to check out prior to the big game.